In this technological day and age we often find ourselves with a growing list of different accounts and the associated random information which go with them. Keeping track of it all can certainly be a challenge in and of itself. 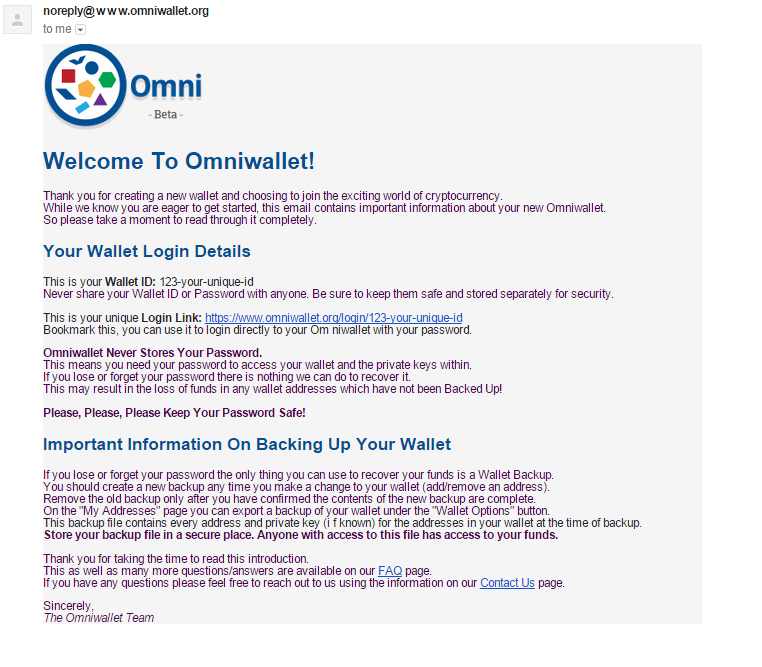 One of the more requested features we typically hear about is email support in Omniwallet. This Milestone we are happy to announce the addition of Welcome Emails for new wallet creations which will include the Wallet ID and a custom login link for quicker, easier access. This is the first of many new features we are working on including email notifications for specific user requested events, trade confirmations and incoming transactions to name a few. The second new feature we want to highlight this milestone is the addition of Armory Offline Addresses. Omniwallet now has the ability to create Armory Offline transactions to send or create MasterProtocol Currencies. Using this feature you can securely monitor address and create transactions in Omniwallet which can only be signed by your already secure offline Armory machine. Take a look at the Armory Offline Address wiki page to get started. Side note, while sending and creating with offline addresses is supported we are still working on adding support for buying/selling MasterProtocol currencies. The last new feature we want to showcase this milestone is Sending by Fiat Value. With the ever changing value of BTC sometimes you just want to send $10 to a friend and not worry about what the current exchange rate is. 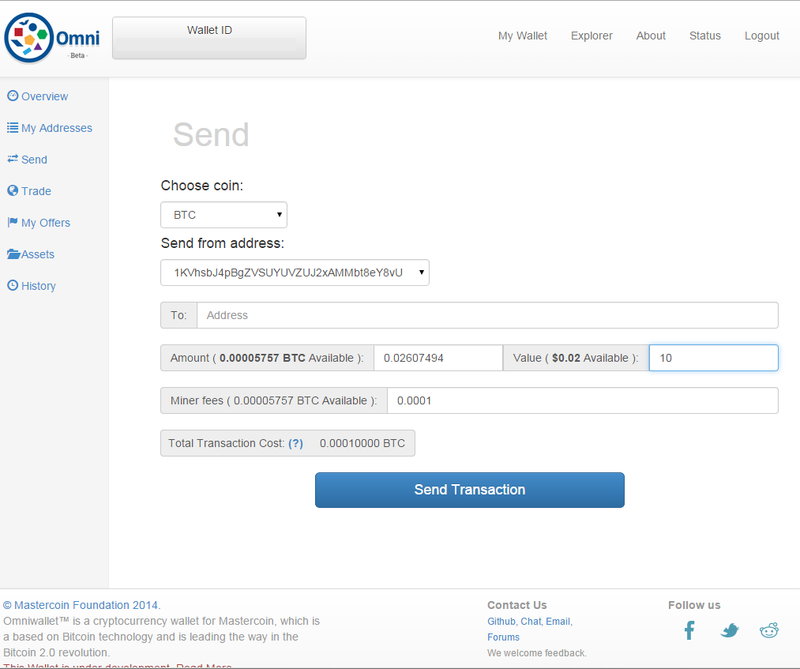 With the new Send by Value you can enter how much you want to send based on the current value of BTC. Additionally, we’ll do one last check when you’re ready to broadcast your transaction to make sure the price of BTC has not changed in the interim. If it has, we’ll notify you and you can choose to update your transaction based on either the original BTC amount or Fiat Value before sending. If you want to see what we’re working on next come checkout Ariel. She knows everything. Awesome work Adam and the entire Omni Wallet team.